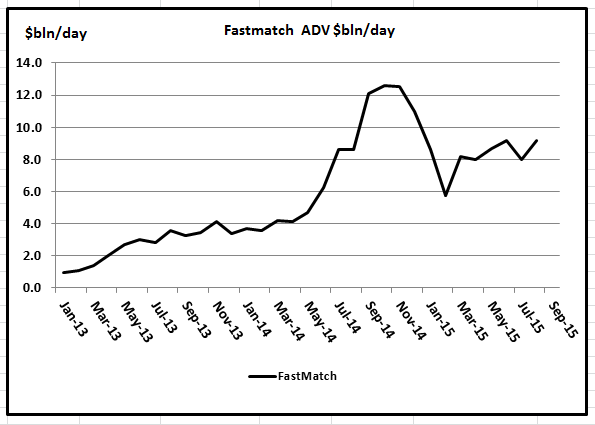 Fastmatch, the FX ECN which reported average daily FX volumes of $9.2bln in August, has just announced they have started providing fully disclosed ‘relationship’ based liquidity provision (one-to-one trading) at brokerage rates of $1 per million/side notional traded. Having built successful low-cost anonymous ECN with wide connectivity, it clearly makes sense for them to extend their offering and start offering relationship based liquidity. 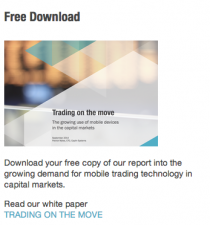 Less than a month after announcing the new relationship based FX provision, Fastmatch announced that they completed their first relationship based trade between Citadel Securities and a Tier 1 bank. This move appears a response to the success of EBSDirect, which has shown the strong demand for relationship based liquidity provision. It will be interesting to see whether Fastmatch manages to gain traction with their new service, and at the same rate as EBSDirect. Although EBS doesn’t separate out the EBSDirect volumes, I have managed from various press releases to build a picture of the growth of the service as shown in the chart below. 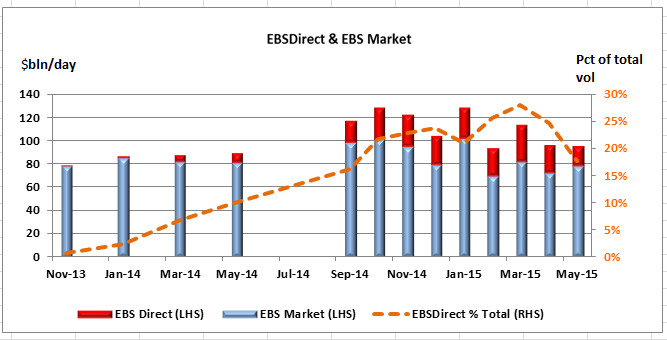 EBSDirect appears to have grown from nothing to nearly 20% of volumes in under two years.